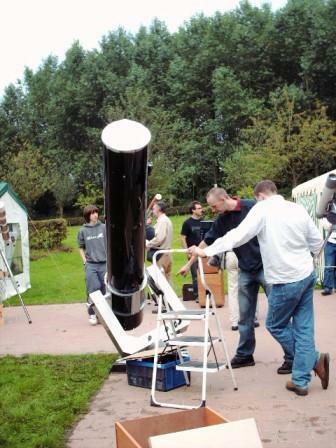 Back in July of 2006, I was nearing completion of my 10" wooden Fork Mounted Newtonian Reflector. Wanting to get the word out about my greatest astronomical achievement, I decided to go to Cloud Night's Telescope Reviews in hopes of notifying the astronomical community of my accomplishment. Upon accessing the Cloudy Night's website I initially performed a search on the site for other ATM'ers who may be working on a similar project. 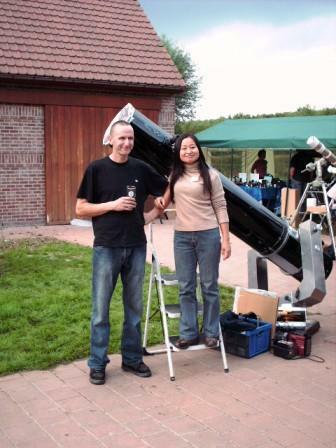 After a short amount of time I ran across a forum started by Art Bianconi - a well-versed and knowledgeable amateur telescope maker who was undertaken a couple of awesome fork mount projects. With excitement, I quickly became a member of Cloudy Night's, introduced myself, and the Fork Mount project I was working on. I posted a photo of my completed mount and received appreciative responses, as well as gaining valuable insight from Art in several areas of telescope making. Art Bianconi is no doubt an excellent resource in amateur telescope making. Then, I decided to search again for any other Fork Mount builders and ran across a forum opened by a gentleman from Belgium by the name of Eric Moerman, whom also begun a forum covering his all metal Fork Mount construction project. I was very impressed with the precision, design, and innovation Eric instilled in his Fork Mount, as he provided his step-by-step chronology of it on Cloudy Night's. I quickly introduced myself and my fork mount in his forum and vowed to follow the construction of his scope until completion. We shared several threads and noted some similarities in our mount designs despite mine being built from wood and his of metal. Eric Moerman is a Machinist in Belgium who demonstrates a solid understanding of telescope design and function. I liked his design so much that I asked him if I could host some of the pictures he took during the construction of his telescope on our website. Eric gave me the okay. I believe these photos will be an asset to all ATM'ers interested in building an all metal based Fork Mount as an alternative to my wooden model. In either case, both of these telescope projects would serve any ATM enthusiast quite well.